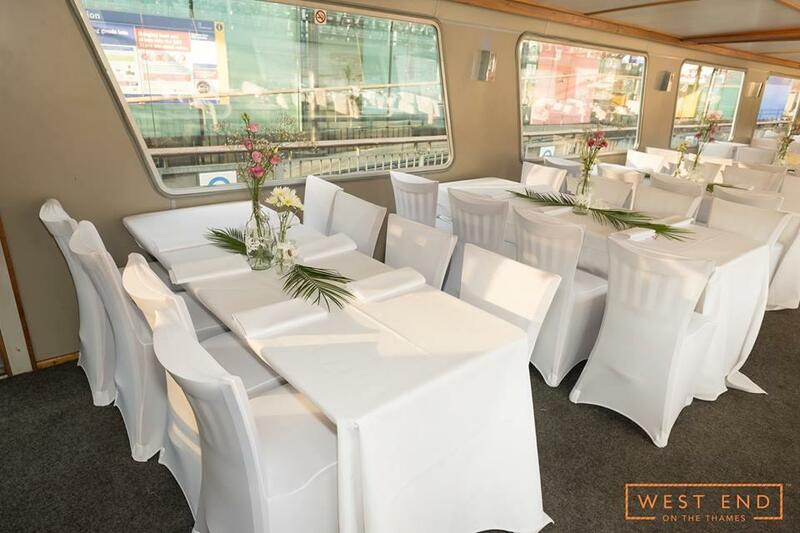 WEOTT II features a large open deck, spanning its entire roof. 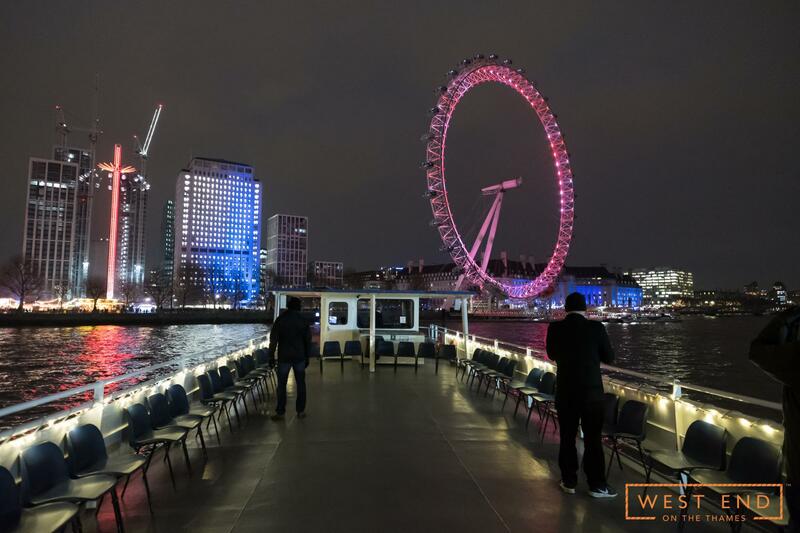 This versatile space provides glorious 360° views of the Thames and allows London’s skyline to become the ultimate backdrop for any occasion. 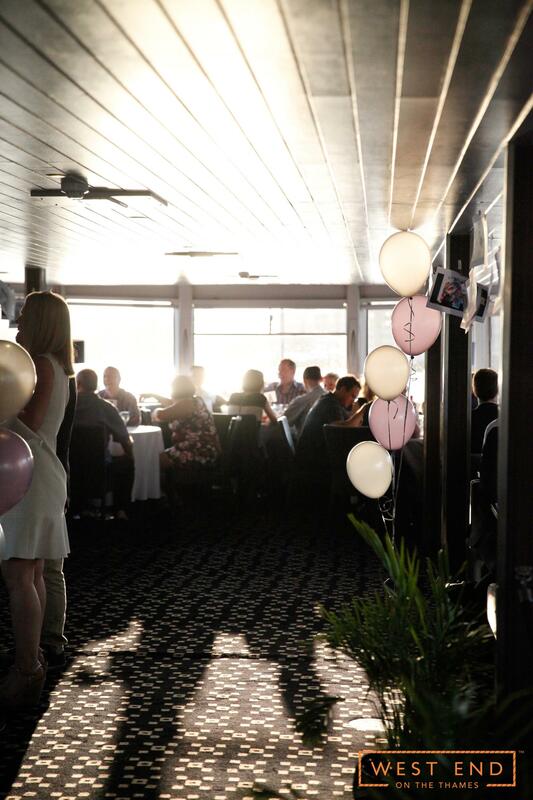 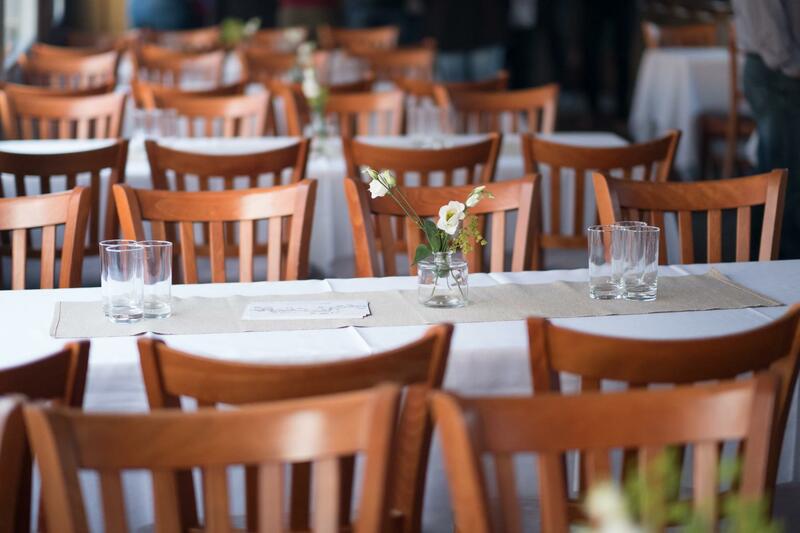 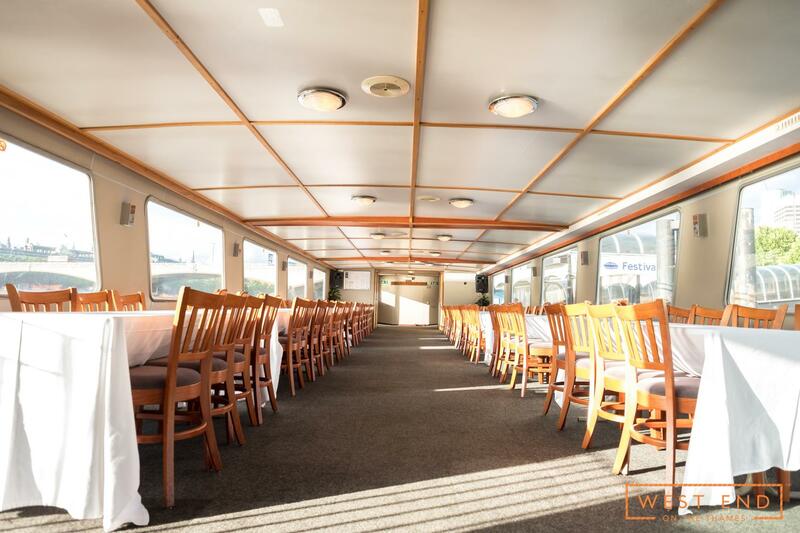 The upper deck can accommodate a large amount of standing guests, or be customised for a seated function if required. 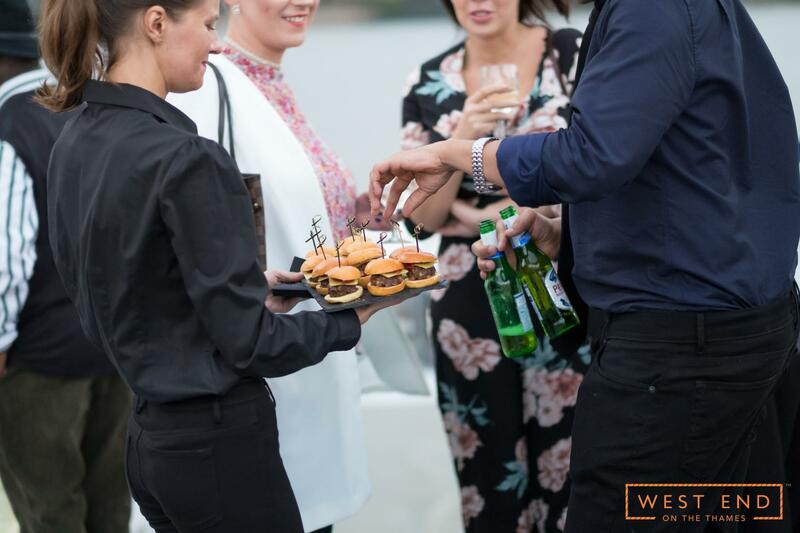 With a sheltered area and BBQ set-up, the spacious open top is a great setting for a more relaxed business event or a sophisticated social engagement. 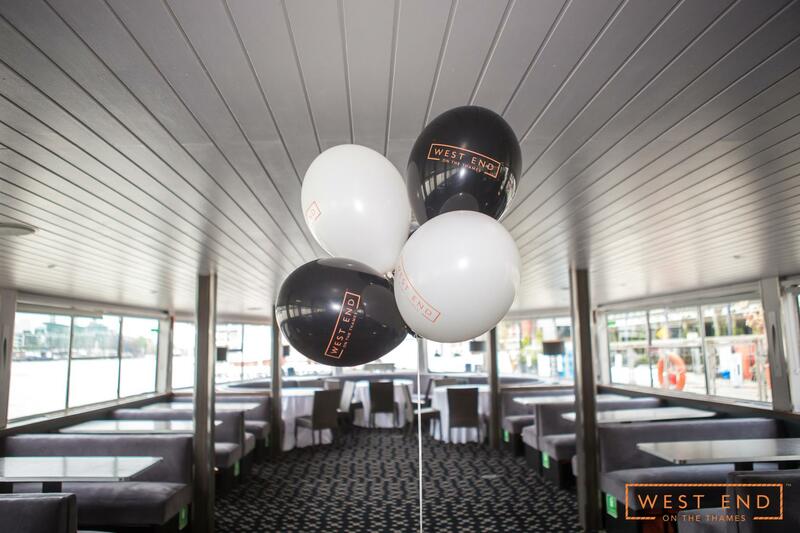 WEOTT II features a two-floor interior, making it an incredibly versatile venue. 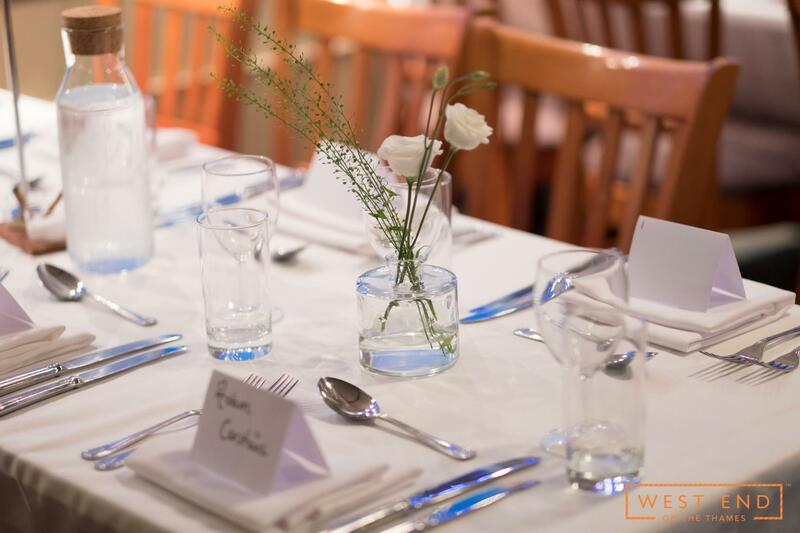 The main floor can be arranged for a social dining event, conference or presentation. 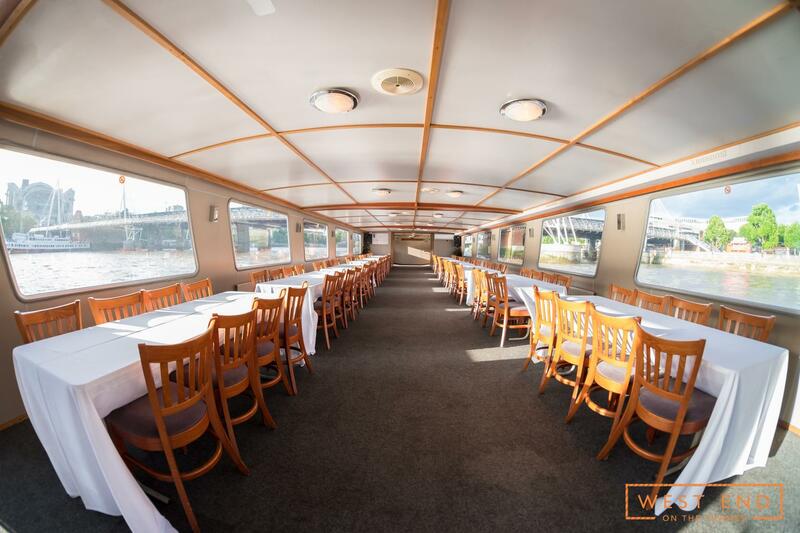 With large windows surrounding the whole area, fantastic views are guaranteed. 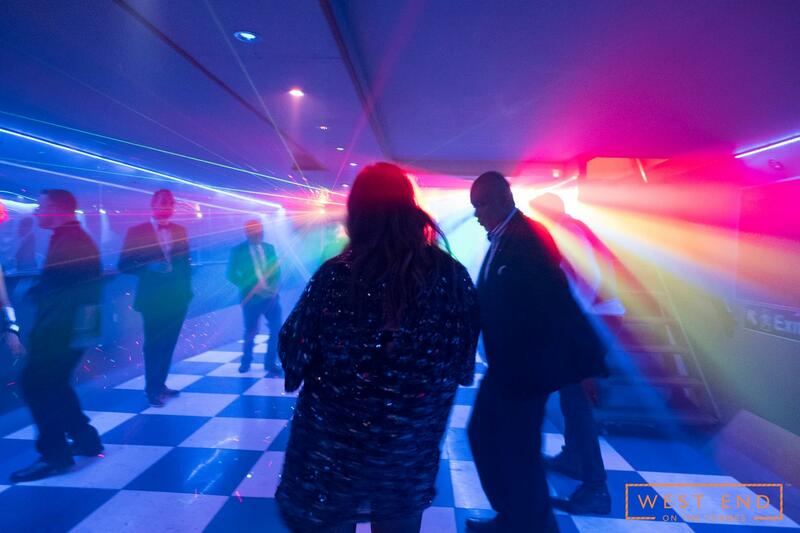 The lower deck comprises of a dance floor with full sound and light systems and a DJ booth. 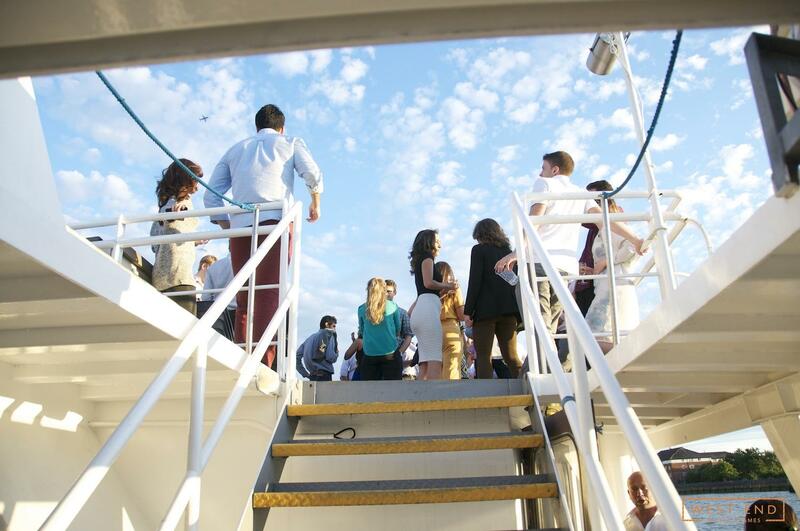 This area can be used to give an event more of a party atmosphere, or remain closed if desired. 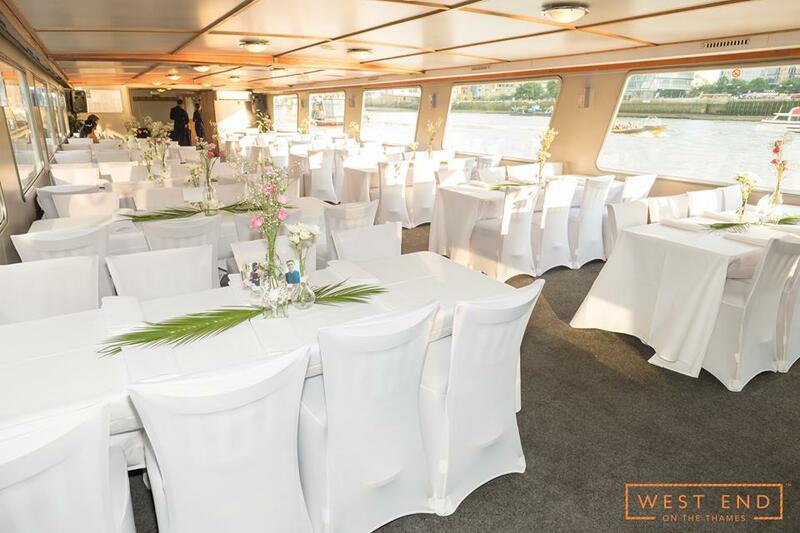 The temperature of the floors can be adjusted as required by the host, making WEOTT II an ideal choice for events in either the summer or winter months. 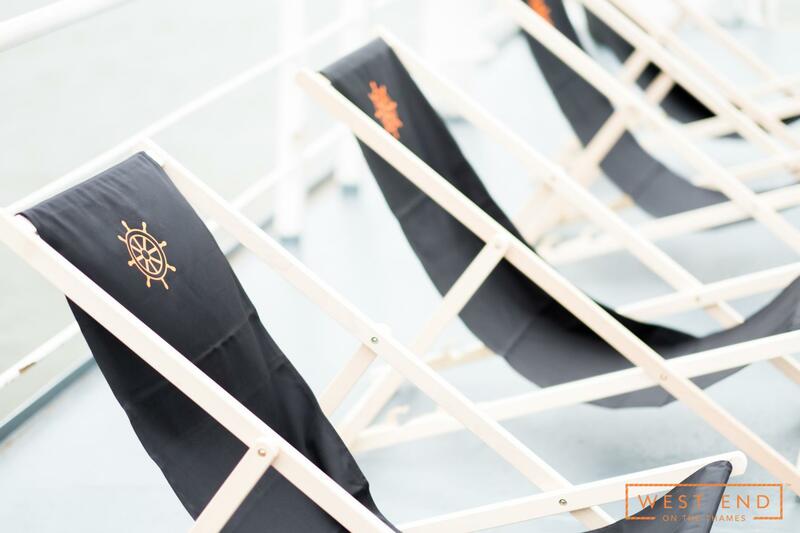 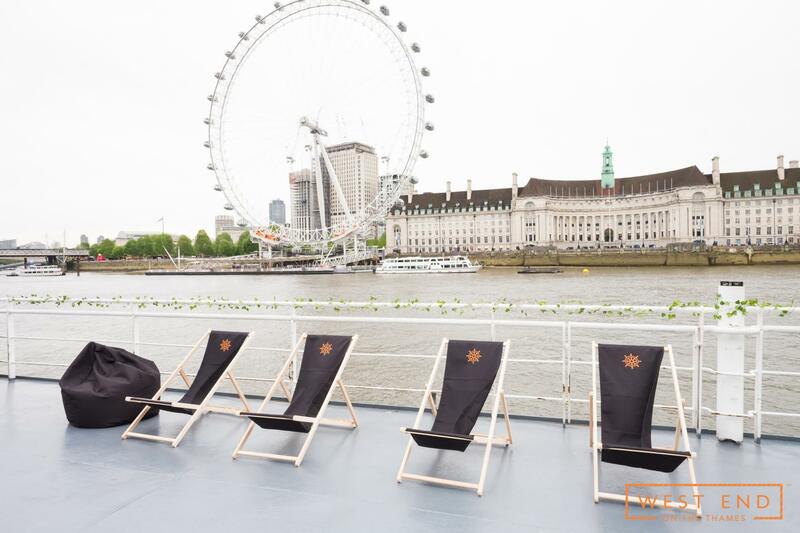 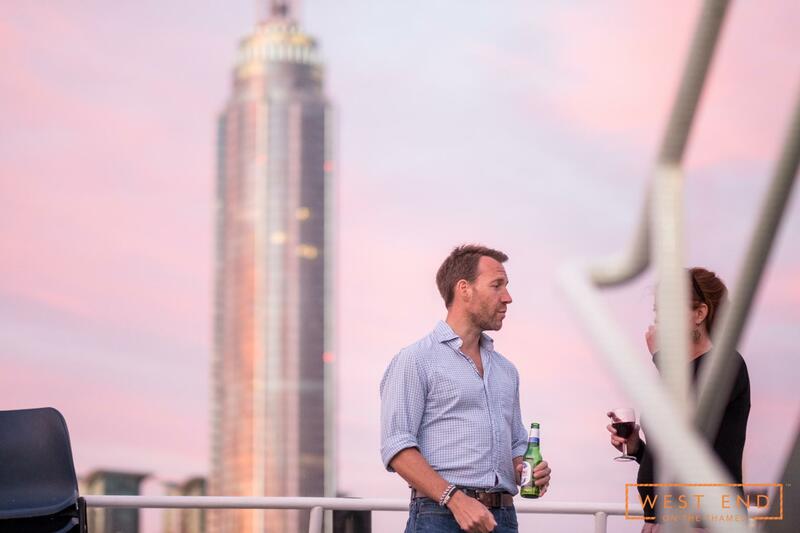 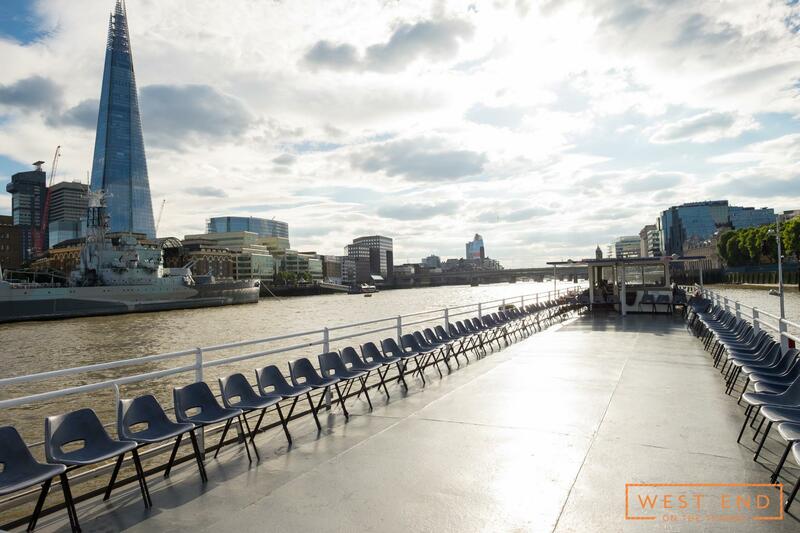 Multiple customisable decks make WEOTT II a perfect choice for any event, whether giving a presentation in the comfortable interior floors, or taking in the sights on the upper deck, this vessel can deliver all year round. 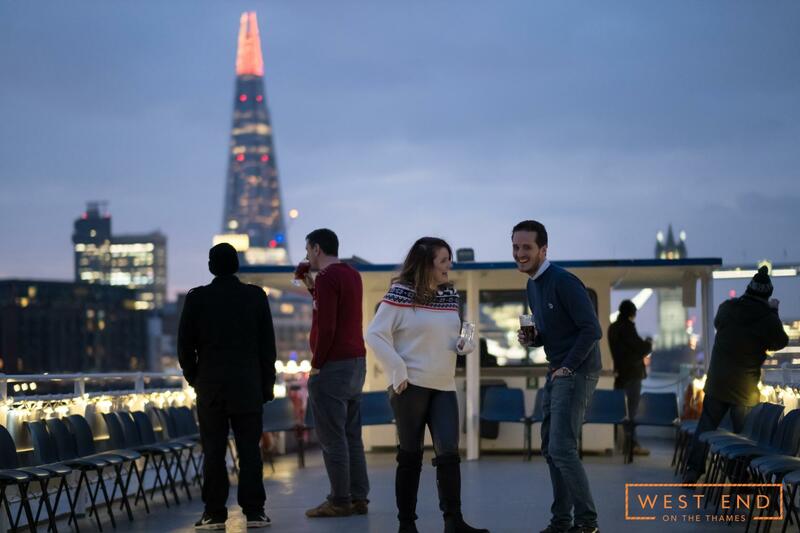 What better backdrop for your next get-together than the city of London itself? 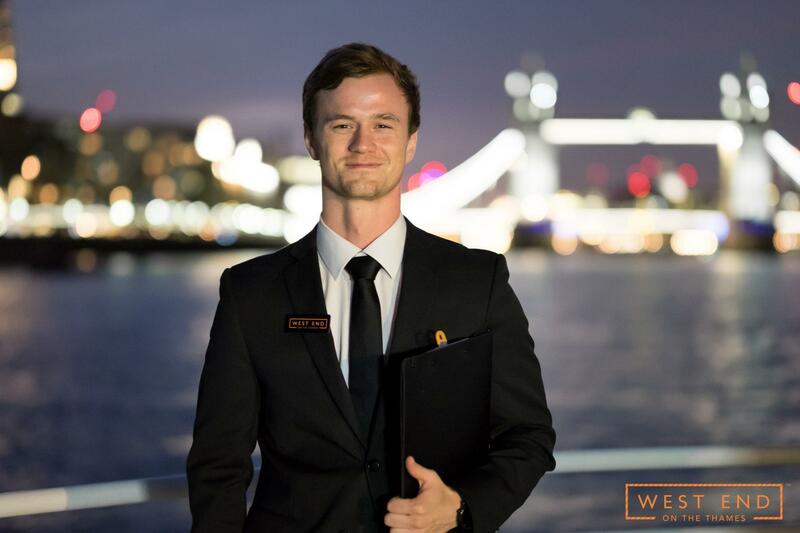 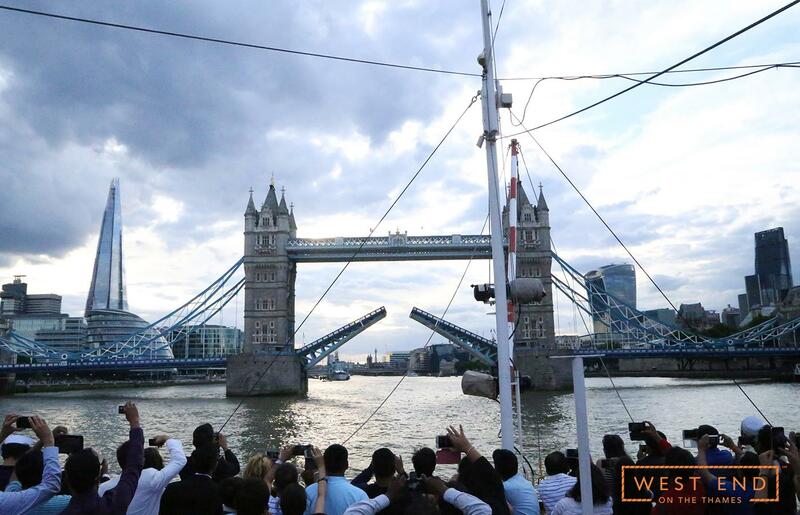 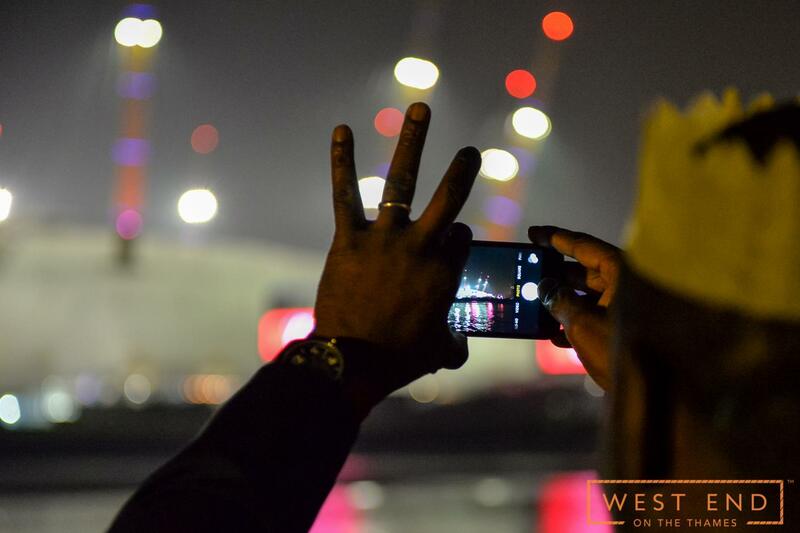 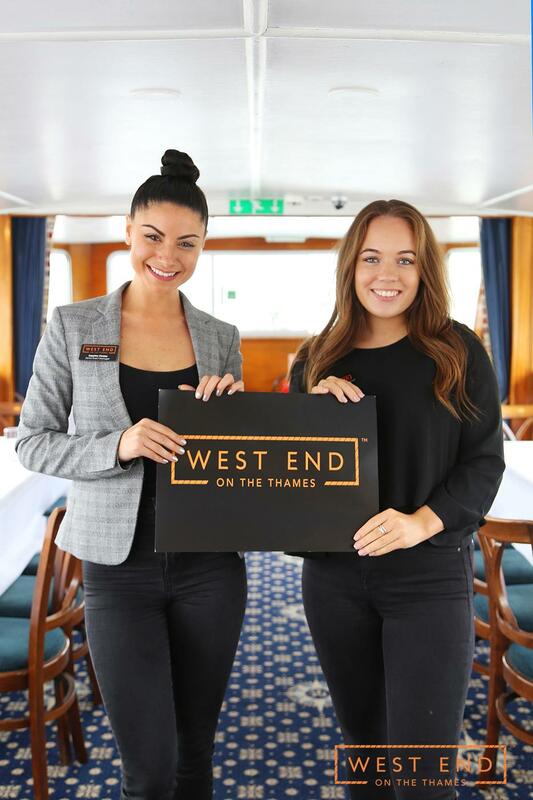 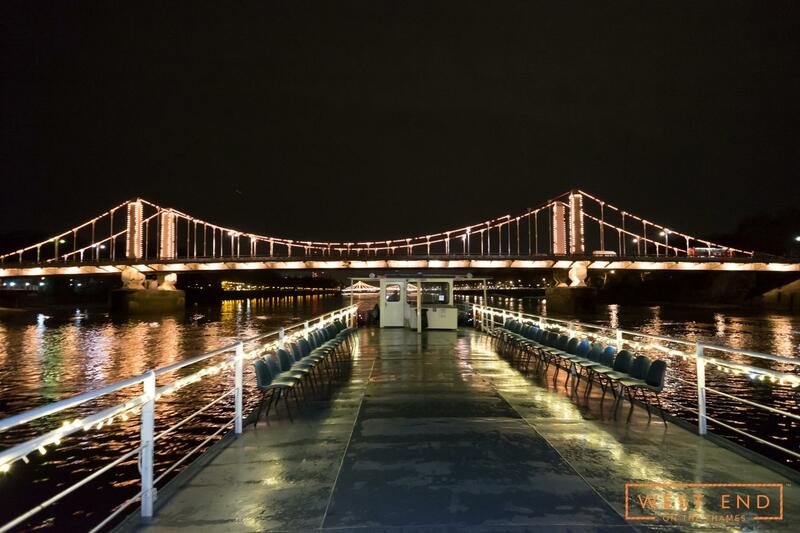 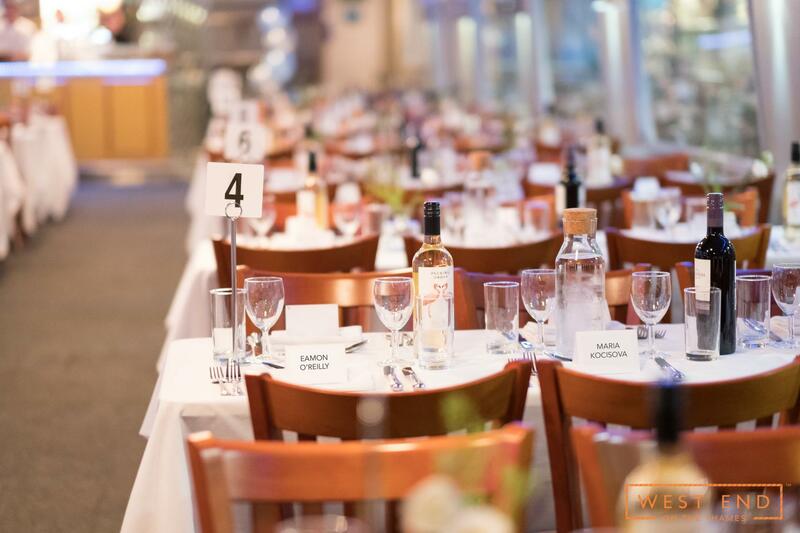 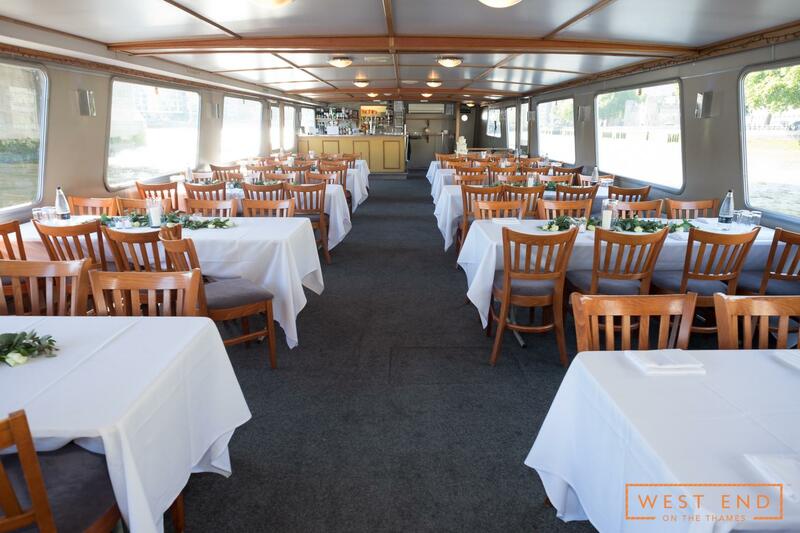 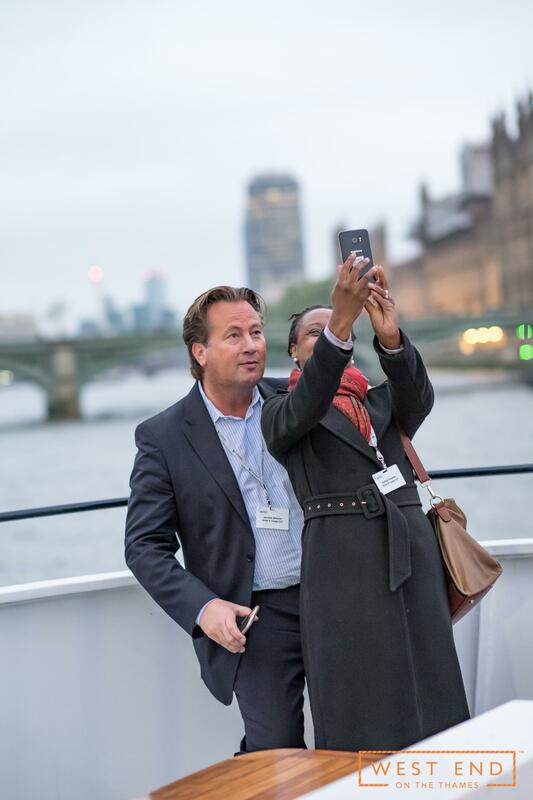 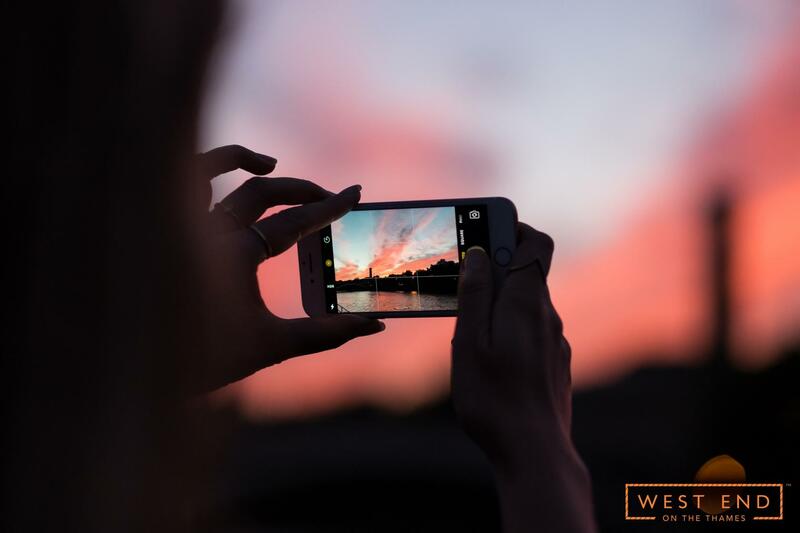 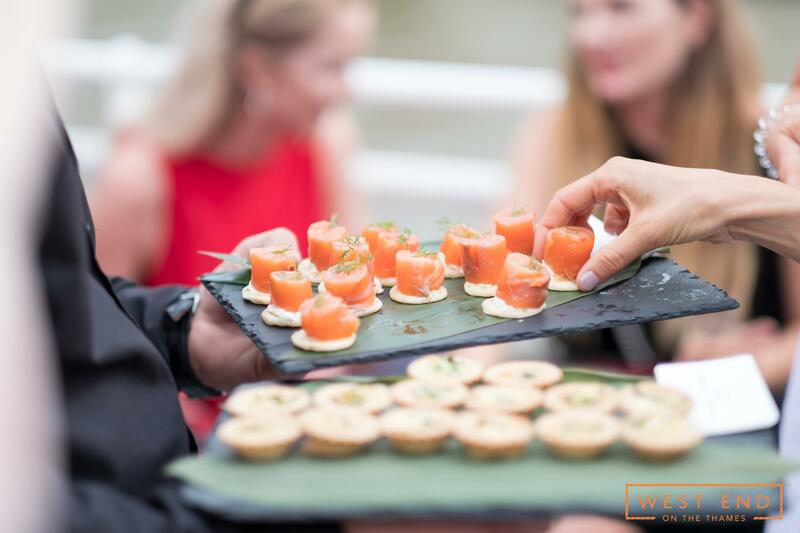 West End on the Thames is the capital's leading provider of events on the River Thames, and specialises in river cruises for gatherings of all shapes and sizes. 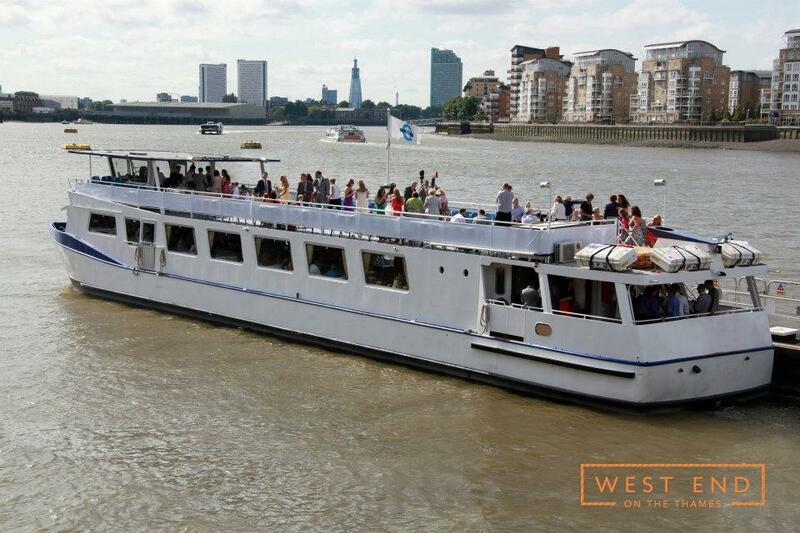 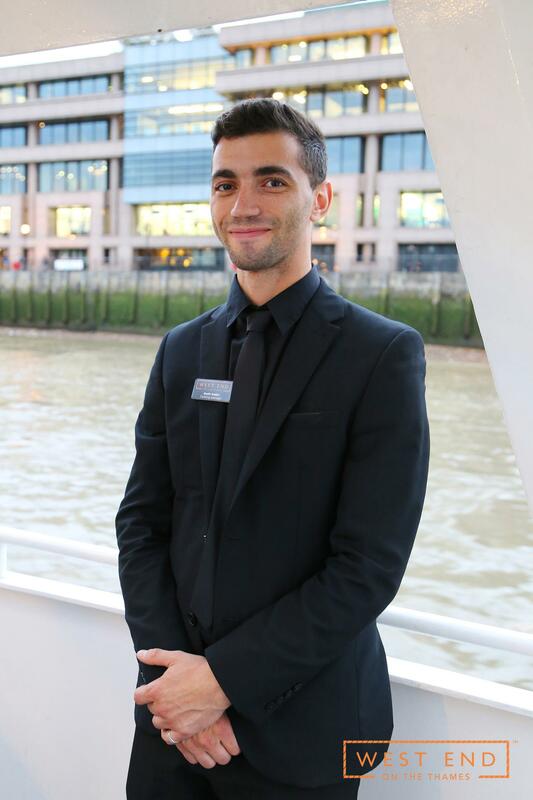 A five-star recommended service, West End on the Thames has modern vessels that cater for groups of between 2 and 500 people. 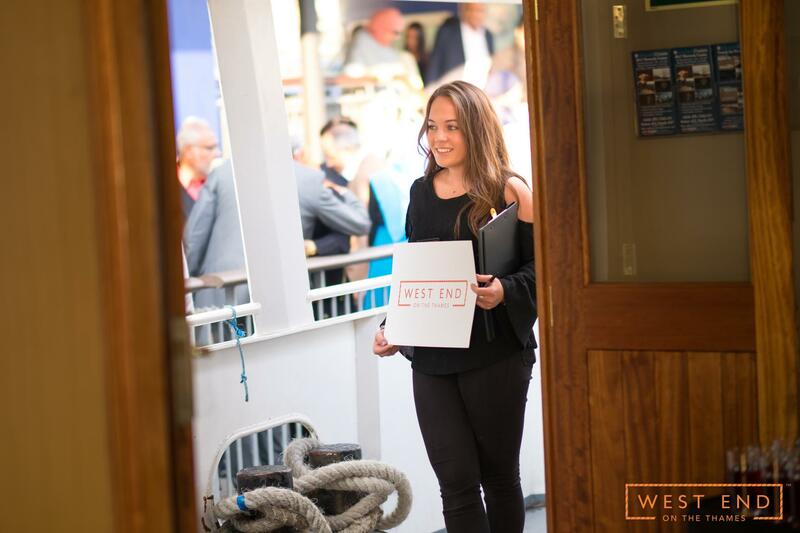 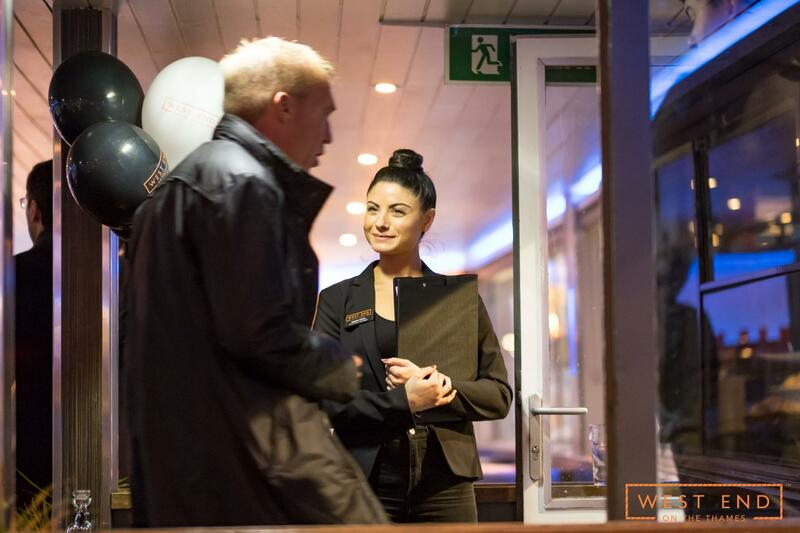 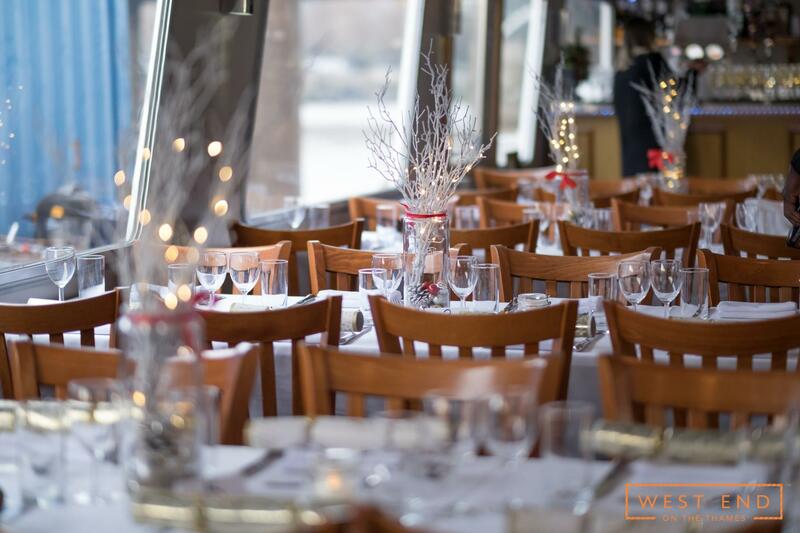 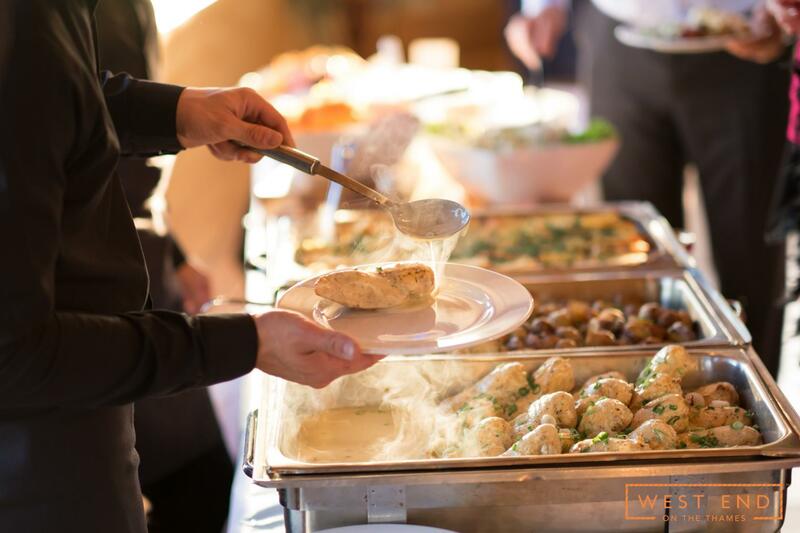 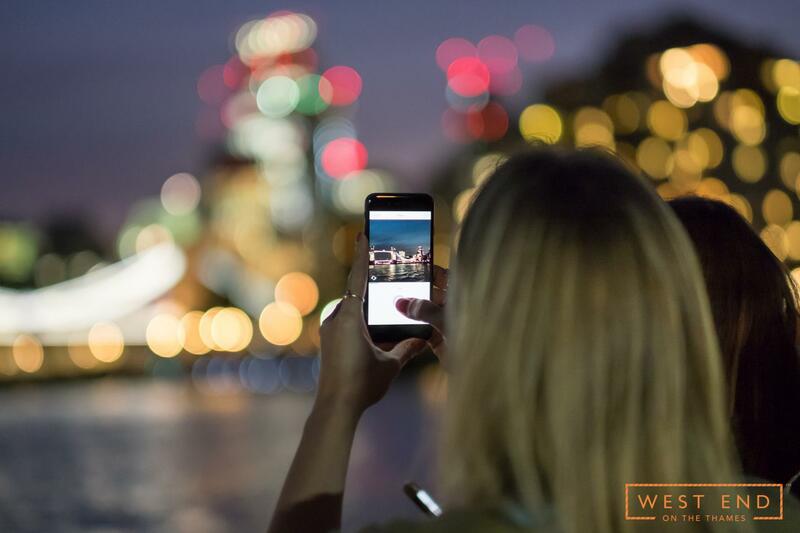 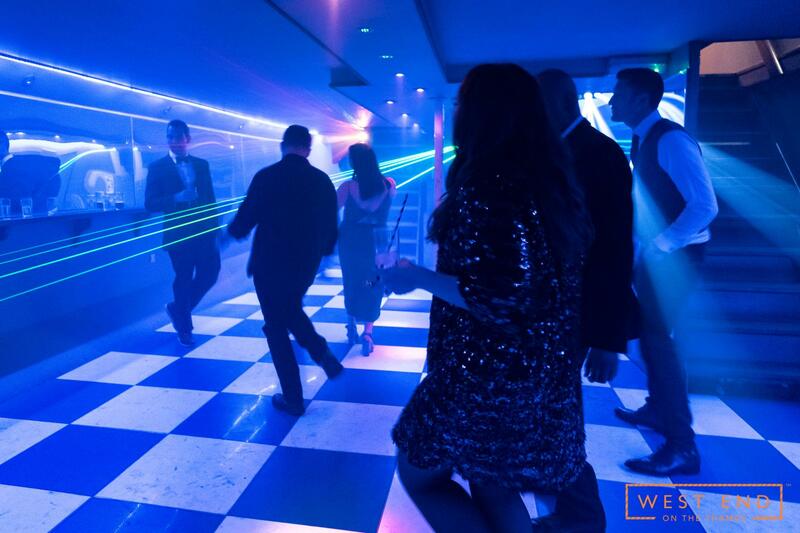 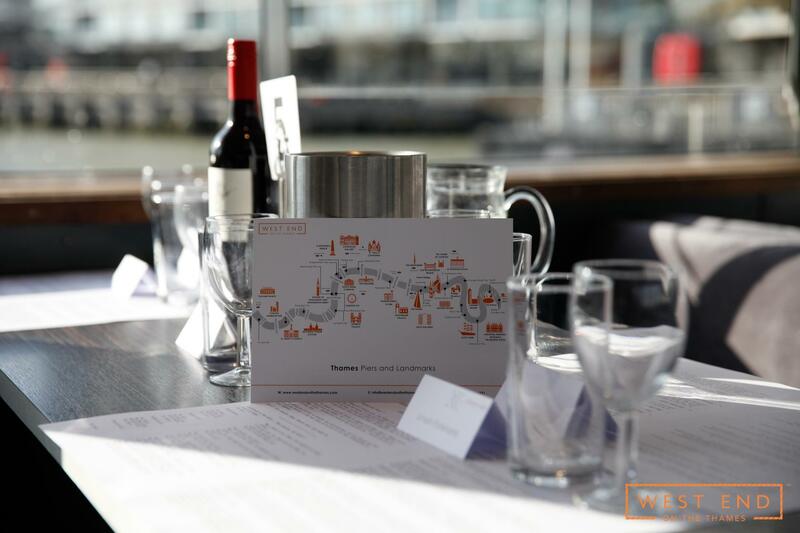 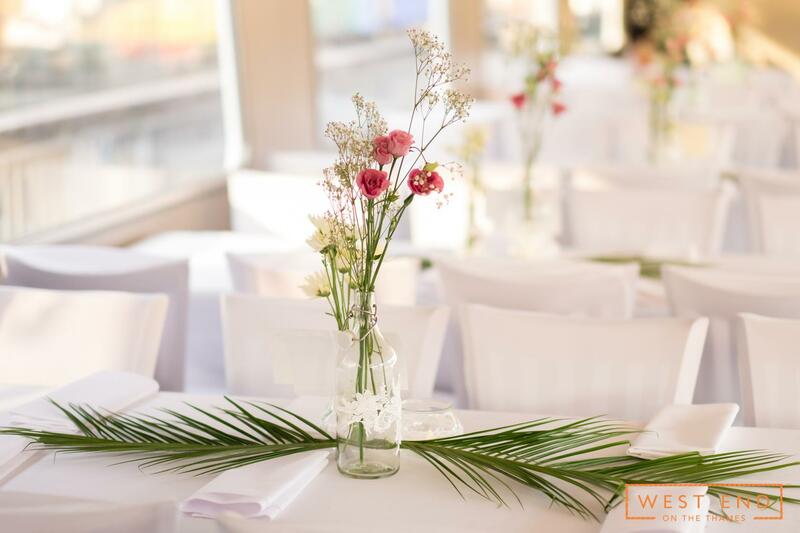 Whether you're planning a birthday party, networking event, wedding reception or Christmas office party, West End on the Thames' team of dedicated event planners will be there to help make your event sparkle. 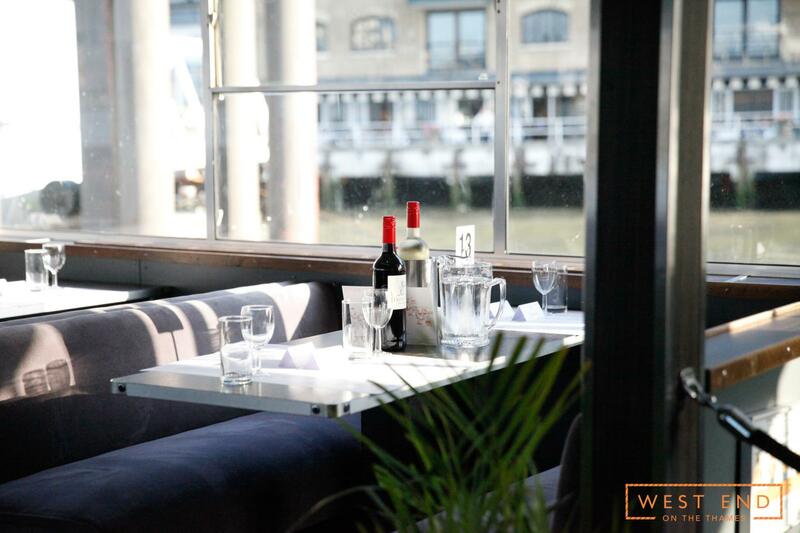 Want to see the best of riverside London? 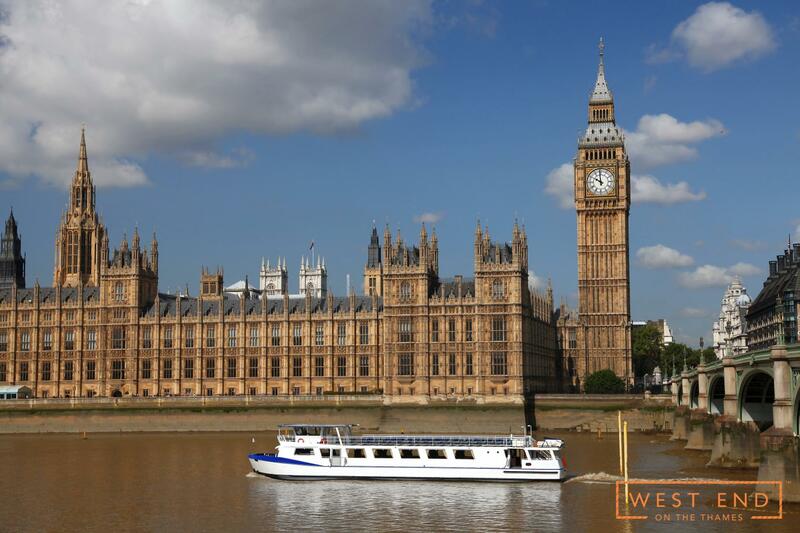 Look no further than the capital's experts in Thames boat hire!